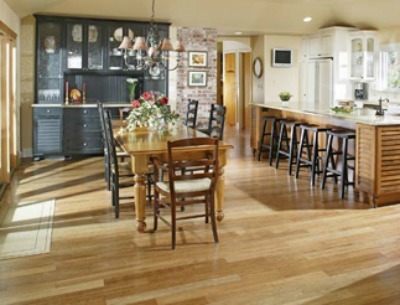 You are here: Home / Home & Garden / Home Decor / Why Choose Bamboo Flooring? 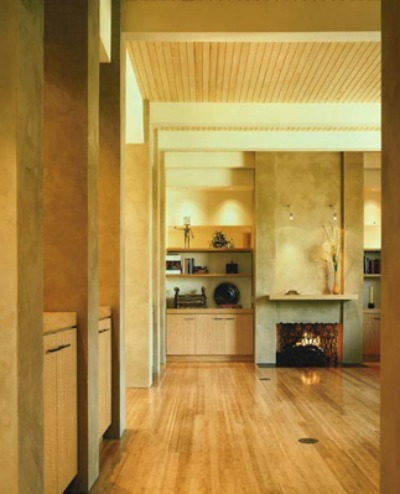 Bamboo flooring durability is a prime consideration when choosing bamboo flooring. Bamboo is not wood; it is a grass that is amazingly a choice building material because of its strength, durability, and being eco-friendly. Bamboo shoots are new growth from the fastest growing plant on earth and can reach heights over 50 feet tall. Since bamboo is a grass, it is harvested again and again from the same stalk, not like typical trees used for hardwood flooring that don’t grow to maturity for 30 to 50 years and must be replanted each time. Bamboo grows faster than trees could ever hope to. Harvesting bamboo is better for the environment than harvesting trees. It produces greater biomass and 30 percent more oxygen than a hardwood forest. Bamboo prevents erosion, improves watersheds, restores soil, removes toxins from contaminated soil, sequesters carbon dioxide and thus refreshes the air we breathe. Bamboo also yields 20 times more timber than trees within the same amount of land. Most of the plants that are used for flooring come from China where very few or no pesticides are used and with much of the harvesting being done by hand and not by machinery. When you purchase bamboo flooring, it is important to learn the source to ensure quality and that the flooring was grown to the recommended maturity of five to seven years. Why is this important? Bamboo is weaker before five years and becomes brittle after seven. Bamboo that is left to mature is a better quality and is more durable than younger bamboo that is rushed to harvest. To be prepared for its use as flooring, the bamboo is placed through a sizing and splitting machine and crosscut to lengths that are identical. The outer skin is peeled and knots are removed. The bamboo is boiled in hot water with preservatives in order to remove grime, insects and sugars. A crucial step is allowing the bamboo to air dry and then kiln dry, which usually takes about five days. Bamboo strips are made into large boards of strengthened flooring material by being set perpendicular to face veneers and laminated together using a special man-made adhesive to make a bamboo floor harder and more durable. Then, using a two-dimensional hot press machine, the bamboo flooring planks are pressed together for added strength and stability. The bamboo is then cut to the desired width, length, shapes and finishes with a wood sawing machine. The planks are sanded using a wide sanding belt, which provides a smooth finish. 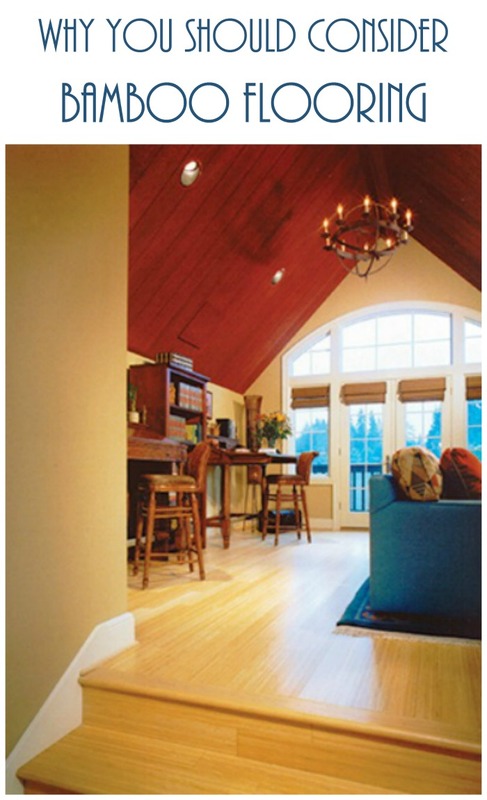 While most bamboo flooring is light in color, it can be painted or stained to match any decor. When trying to be eco friendly consider bamboo flooring!